Naming Chemicals. 2. Classification of Chemicals. 3. Formulations. 4. Surface-Active Materials and Emulsions. 5. Specifications and Standards. 6. The Chemist and Engineering Equipment. 7. Construction Materials. 8. Scale-Up-Scale-Down. 9. Work-Up. 10. Environmental Impact of Processes and Products. 11. Safety and Regulations. 12. Patents. 13. Information. Subject Index. The special world of industrial chemistry is illuminated in this text. Issues such as naming and classification of chemicals, safety, formulations and specifications, information and patents are treated. Process-related topics are discussed, such as scaling-up, equipment selection, construction materials, environmental impact and waste minimization. Aspects which fall in between the traditional disciplines of chemistry and chemical engineering are covered, which are so critical for the development of a successful industrial process, and the awareness of which avoids pitfalls in industrial research and development. Case studies are given, and special appendices provide useful information for the industrial chemist or student. 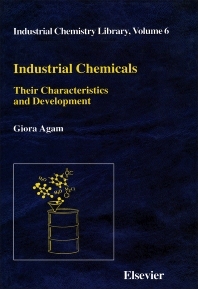 The book is aimed at industrial chemists and engineers, and at students in those faculties, intending to pursue this field in industry. Marketing and purchasing staff will also find this text valuable.